Get 100% Free Security System Quotes. 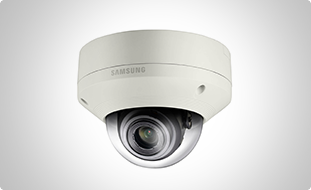 Compare Top Security Systems in Terms of Pricing, Current Offers and Product Specifications. Do You Have An Existing Alarm And/ Or Monitoring System? How Soon do you Need a Security System? *Phone & Email We will send the free quotes to you through your email and/or phone. *By clicking the button above, I authorize security companies, including ADT, Alarm Advisors, Alliance, FrontPoint, LifeShield, Brinks Home Security, Protect America, Protect Your Home - ADT Authorized Premier Provider, Protection1, SafeStreetsUSA - ADT Authorized Dealer, Guardian Protection Services, Vivint, their dealers and partner companies to contact me about security offers by phone calls and text messages to the number I provided. I authorize that these marketing communications may be delivered to me using an automatic telephone dialing system or by prerecorded message. I understand that my consent is not a condition of purchase. *By clicking 'View My Free Estimates Now' I authorize security companies, including ADT, Alarm Advisors, Alliance, FrontPoint, LifeShield, Brinks Home Security, Protect America, Protect Your Home - ADT Authorized Premier Provider, Protection1, SafeStreetsUSA - ADT Authorized Dealer, Guardian Protection Services, Vivint, their dealers and partner companies to contact me about security offers by phone calls and text messages to the number I provided. I authorize that these marketing communications may be delivered to me using an automatic telephone dialing system or by prerecorded message. I understand that my consent is not a condition of purchase. 6-Month Money Back Guarantee Certain restrictions apply. Quick and free comparison between top security system companies. We only include the best alarm system companies in our network. Compare multiple offers from top security system companies instantly. Security companies can monitor your alarms and report any incidents to authorities. Quality camera systems will effectively deter criminals away from your home. Our alarm systems will monitor your home for fire, flood in addition to intruders. Protecting your family and home will give you the ultimate peace of mind. Medical alert systems are designed for patients to request quick help in case of an emergency. Having a security system will certainly help deter crime away from your home. Burglars can recognize a home with a security system, since security companies install a sign and probably an outdoor siren. Assuming a burglary attempt occurs, the security system will notify authorities or the home security company, and they will take immediate action. This notification will certainly help reduce or eliminate the damage caused by burglary. Having a system installed on various entry points of your home (doors, windows, roof) will give you a sense of security and peace of mind. A home security system is basically a central unit with a set of sensors. Good security systems have sensors for fire, flood, and gas leak detection. You can count on your security system to notify you about issues like these in case you were out of your home for any extended period. Modern home security systems allow you to view your home from your mobile device or your computer. That way, you can see what is happening inside your home. Furthermore, modern home security systems are becoming a part of an entire home automation solution that will allow you to control temperature, open/close shutters, and more. When you submit the form above, we will look at your home security needs (as per your answers and your location), and we will match you with one of our reputable home security companies based on your precise needs. We ask many questions, because we do real matching to quality security companies. Our matchmaking requires many pieces of information, including your zip code, property type, installation preference (DIY or professional) and many more. Based on your answers, we will connect you (for free and with no obligation) with those companies. We do not charge homeowners for our service, and you should take advantage of this opportunity if you need help regarding your home security in any way. All you need to do is submit the form above now. The answer is really simple: you will find the best value for your dollar! We pre-screen home security companies all over the United States, and we will connect you with 2-5 home alarm companies. This way, you will find the top alarm company that offers quality 24/7 monitoring for a lower price. You can compare deals, get offers & quotes almost instantly. Act right now to find the top security systems in your area, enter your zip code and answer our questions to get your free quote now. Burglary Statistics from the Bureau of Justice Statistics. Alarm systems have long been used by homeowners to alert them in the event of a breach in home security. Across time, people have tried everything from trained guard dogs to the old cans-stacked-by-the-back-door trick. As early as 1853, however, electro-magnetic alarm systems were being designed and developed as a more practical means of providing home security. Here, find a brief overview of modern alarm systems that may help you narrow down your options to make the best choice for your household. Having a security system will certainly help deter the crime away from your home. Burglars can recognize a home with a security system, since security companies install a sign and probably an outdoor siren. Assuming a burglary attempt occurs, the security system will notify authorities or the home security company and they will take immediate action. This notification will certainly help reduce or eliminate the damage caused by burglary. Having a system installed on various entry points of your home (doors, windows, roof) will give you a sense of security and peace of mind. Alarm systems only help protect windows and doors that are actually wired into the system. If you only wire your front door, back door and windows on the lower level of your home, an intruder could potentially prop a ladder against your home and enter undetected through an upstairs window or balcony door. Some systems employ motion sensors to detect unusual activity inside the home even when no breach in the circuit-wired entry points is detected. These systems use radio waves to survey a space, and if an object interferes with these waves, an alarm is triggered. In homes with pets or lots of activity, motion sensors may be impractical. However, these sensors can be turned on and off, so you can choose to activate them only when you expect no movement in your home. The control pad is a key feature to any alarm system. Usually a small panel placed near the main entry point of a home or business, the control pad is where a user enters a code to either arm or disarm the alarm function. Many modern home security systems also feature rapid response buttons to allow a resident to summon emergency services immediately. Some systems will connect you directly to 911, while others will walk you through a monitoring system. It is essential that every person who is authorized to control the alarm system understands how to use the control panel. Unless the correct code is entered within a predetermined amount of time after a sensor circuit is interrupted, the alarm will sound. Some systems automatically summon emergency response if the alarm is not turned off using the control pad. Alarm systems should have a battery-powered back-up feature, as any loss of electricity to the home would otherwise render the alarm system useless. Without a backup battery, a power outage or even sabotage to your home's electrical supply could leave you vulnerable. Most alarm systems feature batteries that are able to continuously charge themselves. Alarm systems components vary in their complexity. Most standard alarm systems operate using a magnet and an electrical circuit with a metal switch that the magnet holds closed. When the magnet comes away from the switch, such as when a wired window or door is opened, the circuit pops open and triggers an alarm to sound. Authorized users will have a pre-determined amount of time to respond before the alarm goes off. To deactivate the alarm, users enter a passcode into the control pad located near the primary entry points to the home. If the passcode is not entered, the alarm will sound and in some cases, emergency services will be automatically summoned after a certain amount of time. Sensors come in wireless and hardwired forms; homeowners may opt for a hardwired system while renters will appreciate the flexibility and portability of wireless options. Read more about other alarm system components below. One key component to any system is the alarm siren. This is the device that produces the actual sound once the alarm is triggered. Some sirens are "self-contained," meaning the siren, driver and speaker are combined in the same product. In other cases, alarm siren drivers are required to produce different sounds. Sensors now exist for backyard pools to alert when any object is detected breaking the water. This can be a life-saving device for parents with small children or people with curious pets that can't swim. Sensors can also be attached to a gate leading to the pool to trigger an alert before anything enters the water. Carbon monoxide and smoke alarms have also come a long way in recent years; some can even send text alerts or pre-recorded messages when smoke or unhealthy levels of carbon monoxide are detected. Video Surveillance: Installing a camera System (aka CCTV) in addition to your alarm system is a great addition to your security system. Burglars can see the infrared lights during the night, and studies show that this will help deter them away. You have selected the maximum allowed services!